Back in pre-cloud computing era, organizations had to invest heavily in the infrastructure, manpower, and training to set up their IT department. This was time-consuming, relatively inflexible, and expensive. With the evolution of cloud computing, this is now the go-to solution for all sorts of companies as cloud computing can help companies save time and money along with providing multitudes of benefits. Many reliable cloud providers usually provide several customized configurations to address the need for all kinds of small or large businesses. Because of this, return on your technology investment is often high as your business move to the cloud. However, the economics of cloud computing can be quite complex to understand, as several factors impact your cloud ROI. For example, when choosing the right cloud solution, there are dozens of different configurations to choose from, each one differing in terms of the number of CPU cores, memory and local storage attached to it. 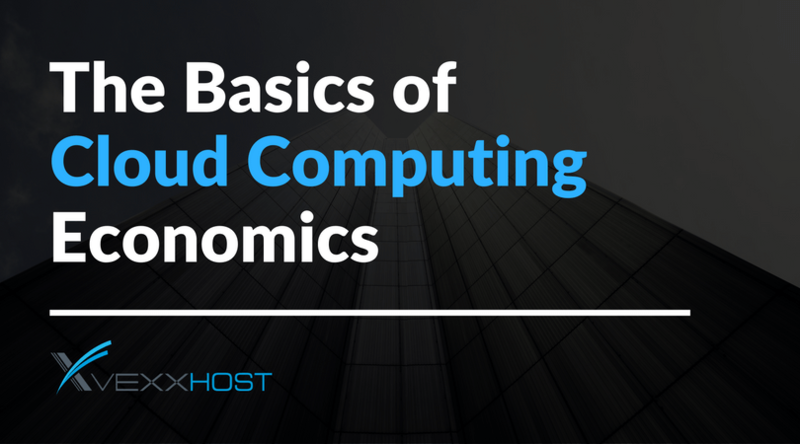 To help you through that, let’s look into cloud economics in detail. In the simplest term, economics of cloud computing deal with the knowledge concerning the principles, costs, and benefits of cloud computing. For any organization to derive the greatest value for the business, it must specifically determine how cloud services can affect IT budget, security and IT infrastructure. There is no hard and fast formula to determine that, it all depends on the assessing the costs pertaining to infrastructure, management, staffing need, research and development (R&D), security and support. All these factors are analyzed to determine if moving to the cloud makes logical next step forward as per organization’s specific circumstances and needs. How to calculate the cost of moving to the cloud? Now here is where the economics of cloud computing comes in action. Let’s take a holistic approach to calculating the cost of cloud computing. To put the cost of a cloud solution into perspective, you need to calculate the total cost of ownership (TCO) for the on-premises first. You can calculate that by figuring out the cost of the equipment you need, cost of the capital and the project lifespan of the equipment. You can also include the installation and maintenance cost as well. That’s the first step- to calculate the amount of time, money and infrastructure required in running your current data center. Once you determine the scope and scale of your current IT infrastructure, it will provide you the baseline to help you calculate the potential cost of the cloud resources you’ll consume and compare it to current cost levels. To precisely calculate the cost of your current data center, make sure to include all aspects. For example, IT infrastructure consisting of hardware and software that can include physical servers, software licenses, maintenance contracts, warranties, supplies, material, spare parts, and anything else that you directly pay for. You need the cost of all these to correctly estimate how much your current IT infrastructure cost. Then there are operational costs as well that include labor, facilities used to house IT hardware, internet connectivity. These operational costs are the part of the cost of your data center as well. Once the cost of your current data center is determined, you now need to calculate the estimated cost of cloud infrastructure. While cloud pricing can vary depending on the number of factors and can be quite complicated, it depends on your cloud provider to provide the simplified pricing structure that is easier to understand. Alternatively, you can contact your cloud provider of choice for a quote. The next step is accounting for the costs involved in executing the migration of the IT operations to the cloud. It is determined by the scope of your current IT infrastructure and how much of it you plan on moving to the cloud will be. Moreover, there is a cost involved of integrating and testing of apps or even consultation fees. Often, many cloud providers require a monthly infrastructure fee to maintain and improve your new cloud environment. Costs such as continued integration and testing of apps, training, labor, security, and compliance, administration, and others need to be forecasted in order to determine an accurate post-migration budget. Cloud computing is about storing and accessing data, programs, and applications you’re using over the internet instead of storing and accessing the same thing from your computer’s hard drive. Hence, the cost of shifting to the cloud may seem steep but in actual, maintenance of on-premises infrastructure is more expensive than cloud computing in the long run. Moreover, cloud computing offers the flexibility to scale services to fit as per company’s need and customize applications. A move to cloud computing can be a great step towards breaking free of out-dated IT practices and the financial constraints it carries. A good cloud computing solution that is compatible with your company can provide a significant return on investment, affording energy, licensing and administrative costs, and it frees up capital and personnel to innovate on new ideas quickly. However, it’s important to approach cloud computing adoption for your company with objectivity. It is always a good idea to thoroughly look into the pros and cons of cloud computing for your company before making the decision. To help you identify great cloud computing opportunities, VEXXHOST can provide you with just the guidance you’re looking for. At VEXXHOST, a team of cloud computing experts are available to help you in understanding the mechanics- and economics of cloud computing better and what packages are most suitable for your business. Request a free trial and speak to a team member today.